50. Oliveros, C.H., D.J. Field, D.T. Ksepka, F.K. Barker, A. Aleixo, M.J. Andersen, P. Alström, B.W. Benz, E.L. Braun, M.J. Braun, G.A. Bravo, R.T. Brumfield, R.T. Chesser, S. Claramunt, J. Cracraft, A.M. Cuervo, E.P. Derryberry, T.C. Glenn, M.G. Harvey, P.A. Hosner, L. Joseph, R. Kimball, A.L. Mack, C.M. Miskelly, A.T. Peterson, M.B. Robbins, F.H. Sheldon, L.F. Silveira, B.T. Smith, N.D. White, R.G. Moyle, B.C. Faircloth. Accepted. Earth history and the passerine superradiation. Proceedings of the National Academy of Sciences. 49. Ksepka, D.T., L. Grande and G. Mayr. 2019. 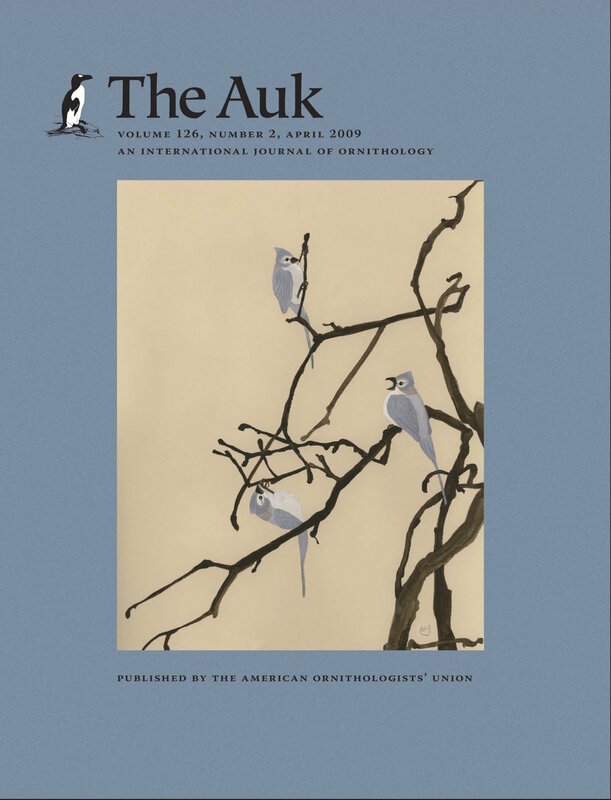 Oldest finch-beaked birds reveal parallel ecological radiations in the earliest evolution of passerines, Current Biology 29: 657-663. 48. Cole T. L., D.T. Ksepka, K.J. Mitchell, A.J.D. Tennyson, D.B. Thomas, H. Pan, G. Zhang, N.J. Rawlence, J.R. Wood, P. Bove, J.L. Bouzat, A. Cooper, S. Fiddaman, T. Hart, G. Miller, P.G. Ryan, L.D. Shepherd, J.M. Wilmshurst, J.M. Waters. 2019. Mitogenomes uncover extinct penguin taxa and reveal island formation as a key driver of speciation. Molecular Biology and Evolution. 47. Degrange, F.D., D.T. Ksepka, and C.P. Tambussi. 2018. Redescription of the oldest crown clade penguin: cranial osteology, jaw myology, neuroanatomy, and phylogenetic affinities of Madrynornis mirandus. Journal of Vertebrate Paleontology 38: e1445636. 44. Thomas, D.B and D.T. Ksepka. 2016. The Glen Murray fossil penguin from the North Island of New Zealand extends the geographic range of Kairuku. Journal of the Royal Society of New Zealand 46: 200-213. 43. Ksepka, D.T., S. Werning, M. Sclafani, and Z.M. Boles. 2015. Bone histology in extant and fossil penguins (Aves: Sphenisciformes). Journal of Anatomy 227: 611-630. 42. Balanoff, A.M., G.S. Bever, M.W. Colbert, J.A. Clarke, D.J. Field, P.M. Gignac, D.T. Ksepka, R. Ridgely, N.A. Smith, C.R. Torres, S. Walsh, and L. Witmer. In press. Best practices for digitally constructing endocranial casts: examples from birds and their dinosaurian relatives. Journal of Anatomy. 41. Tambussi, C.P., F.J Degrange, and D.T. Ksepka. 2015. Endocranial anatomy of Antarctic Eocene stem penguins: implications for sensory system evolution in Sphenisciformes (Aves). Journal of Vertebrate Paleontology: e981635. 40. Ksepka, D.T. and M.J. Phillips. 2015. 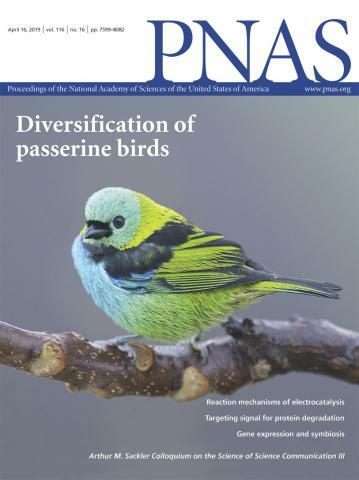 Avian diversification patterns across the K-Pg boundary: influence of calibrations, datasets, and model misspecification. Annals of the Missouri Botanical Garden 100: 300-328. 39. Ksepka, D.T., J.F. Parham, J.F. Allman, M.J. Benton, M.T. Carrano, K.A. Cranston, P.C. J. Donoghue, J.J. Head, E.J. Hermsen, R.B. Irmis, W.G. Joyce, M. Kohli, K.S. Lamm, D. Leehr, J.S.L. Patané, P.D. Polly, M.J. Phillips, N.A. Smith, N.D. Smith, M. van Tuinen, J.L. Ware, R.C.M. Warnock. 2015. The Fossil Calibration Database, a new resource for divergence dating. Systematic Biology 64: 853-859. 38. Smith, N.D. and Ksepka, D.T. 2015. Five well-supported fossil calibrations within the "Waterbird" assemblage (Tetrapoda, Aves). Palaeontologia Electronica 18.1.7FC. 37. Ksepka, D.T. and J.A. Clarke. 2015. 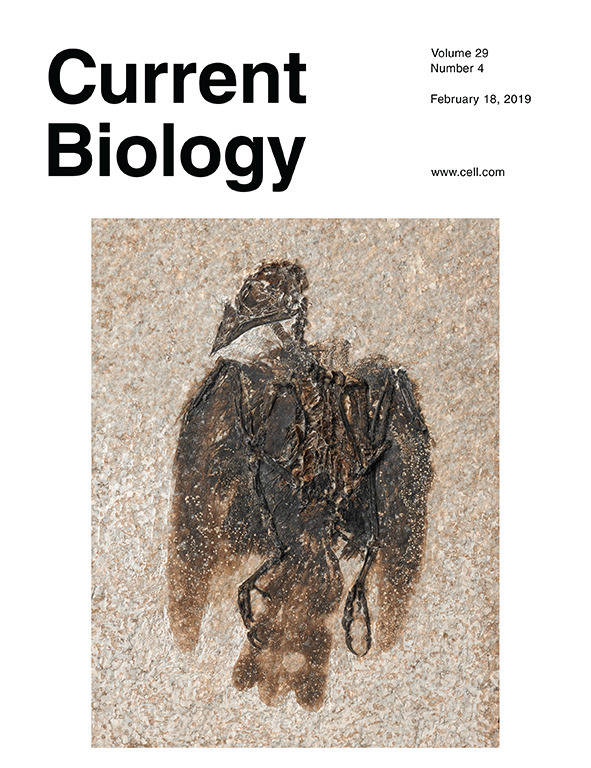 Phylogenetically vetted and stratigraphically constrained fossil calibrations within Aves. Palaeontologia Electronica 18.1.3FC. 22. Nesbitt, S.J., D.T. Ksepka and J.A. Clarke. 2011. Podargiform affinities of the enigmatic Fluvioviridavis platyrhamphus and the early diversification of Strisores (‘‘Caprimulgiformes’’ + Apodiformes). PLoS One: e26350. 21. Thomas, D.B., D.T. Ksepka, and R.E. Fordyce. 2011. Penguin heat retention structures evolved in a Greenhouse Earth. Biology Letters 7: 461-464. 20. Ksepka, D.T. and J.A. Clarke. 2010. New fossil mousebird (Aves: Coliiformes) with feather preservation provides insight into the ecological diversity of an Eocene North American avifauna. Zoological Journal of the Linnean Society 160: 685-706. 18. Ksepka, D.T. and M.A. Norell. 2010. The illusory evidence for Asian Brachiosauridae: new specimens of Erketu ellisoni and a phylogenetic reappraisal of basal Titanosauriformes. American Museum Novitates 3700: 1-27. 17. Ksepka, D.T. and J.A. Clarke. 2010. The basal penguin (Aves: Sphenisciformes) Perudyptes devriesi and a phylogenetic evaluation of the penguin fossil record. Bulletin of the American Museum of Natural History 337: 1-77. 16. Ksepka, D.T. and J.A. Clarke. 2010. Primobucco mcgrewi (Aves: Coracii) from the Eocene Green River Formation: new anatomical data from the earliest definitive record of stem rollers. Journal of Vertebrate Paleontology 30: 215-225. 15. Hou, L.-H., P.-P. Li, D.T. Ksepka, K.-Q. Gao and M.A. Norell. 2010. Implications of flexible-shelled eggs in a Cretaceous choristoderan reptile. Proc. Royal Society B 277: 1235-1239. 13. Ksepka, D.T. 2009. Broken gears in the avian molecular clock: new phylogenetic analyses support stem galliform status for Gallinuloides wyomingensis and rallid affinities for Amitabha urbsinterdictensis. Cladistics 25: 173-197. 12. Clarke, J.A., D.T. Ksepka, N.A. Smith and M.A. Norell. 2009. Combined phylogenetic analysis of a new North American fossil species confirms widespread Eocene distribution for stem rollers (Aves, Coracii). Zoological Journal of the Linnean Society 157: 586-611. 11. Ksepka, D.T., J.A. Clarke, T. DeVries and M. Urbina. 2008. Osteology of Icadyptes salasi, a giant penguin from the Eocene of Peru. Journal of Anatomy 213: 131-147. 10. Ksepka, D.T. and J. Cracraft. 2008. An avian tarsometatarsus from near the K-T boundary of New Zealand. 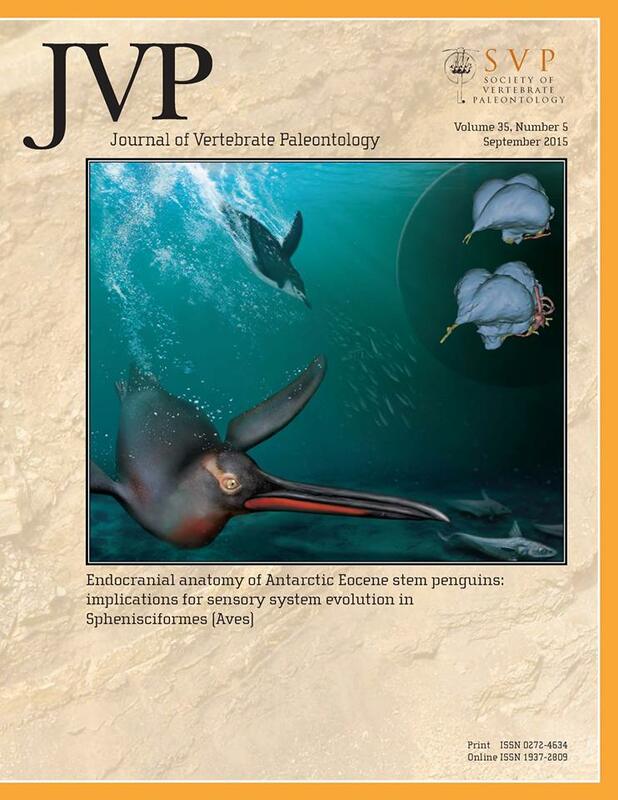 Journal of Vertebrate Paleontology 28: 1224-1227. 9. Gao, K-Q. and D.T. Ksepka. 2008. Osteology and taxonomic revision of Hyphalosaurus (Diapsida: Choristodera) from the Lower Cretaceous of Liaoning, China. Journal of Anatomy 212: 747-760. 8. Clarke, J.A., D.T. Ksepka, M. Stucchi, M. Urbina, N. Giannini, S. Bertelli, Y. Naraez and C. Boyd. 2007. Paleogene equatorial penguins challenge the proposed relationship between biogeography, diversity, and Cenozoic climate change. PNAS 104: 11545-11550. 7. Gao, K-Q., D. Ksepka, H. Lianhai, D. Ye and H. Dongyu. 2007. Cranial morphology of an Early Cretaceous monjurosuchid (Reptilia: Diapsida) from Liaoning Province of China and evolution of the choristoderan palate. Historical Biology 19: 215-224. 6. Ksepka, D.T., S. Bertelli and N. Giannini. 2006. The phylogeny of the living and fossil Sphenisciformes (penguins). Cladistics 22: 412-441. 5. Ksepka, D.T. and S. Bertelli. 2006. Fossil penguin (Aves: Sphenisciformes) cranial material from the Eocene of Seymour Island (Antarctica). Historical Biology 18: 389-395. 4. Bertelli, S., N.P. Giannini and D.T. Ksepka. 2006. Redescription and phylogenetic position of the early Miocene penguin Paraptenodytes antarcticus from Patagonia. Am. Mus. Novitates 3525: 1-36. 3. Ksepka, D.T. and M.A. Norell. 2006. Erketu ellisoni, a long-necked sauropod from Bor Guve (Dornogov Aimag, Mongolia). American Museum Novitates 3508: 1-16. 2. Ksepka, D.T., K. Gao and M.A. Norell. 2005. A new choristodere from the Cretaceous of Mongolia. American Museum Novitates 3468: 1-22. 1. Ksepka, D.T. and M.A. Norell. 2004. Ornithomimosaur cranial material from Ukhaa Tolgod (Omnogov, Mongolia). American Museum Novitates 3448: 1-4. 6. Ksepka, D.T. 2018. Mystery of the Lost Reptiles. American Scientist 106: 222-229. 5. Ksepka, D.T. and M. Habib. 2016. Giants of the Sky. Scientific American314: 64-71. 4. Ksepka, D.T. 2016. The Penguins Palette: More than Black and White. American Scientist 104: 36-43. 3. Ksepka, D.T. 2014. Flights of Fancy in Avian Evolution. American Scientist 102: 34-41. 2. Fordyce, R.E. and D.T. Ksepka. 2012. The Strangest Bird. Scientific American 307: 32-37. 1. Ksepka, D.T. 2011. Prehistoric North Carolina. The North Carolina Naturalist. Fall/Winter 2011: 4-8. 4. Smith, N.A., A.M. Balanoff, and D.T. Ksepka. 2016. 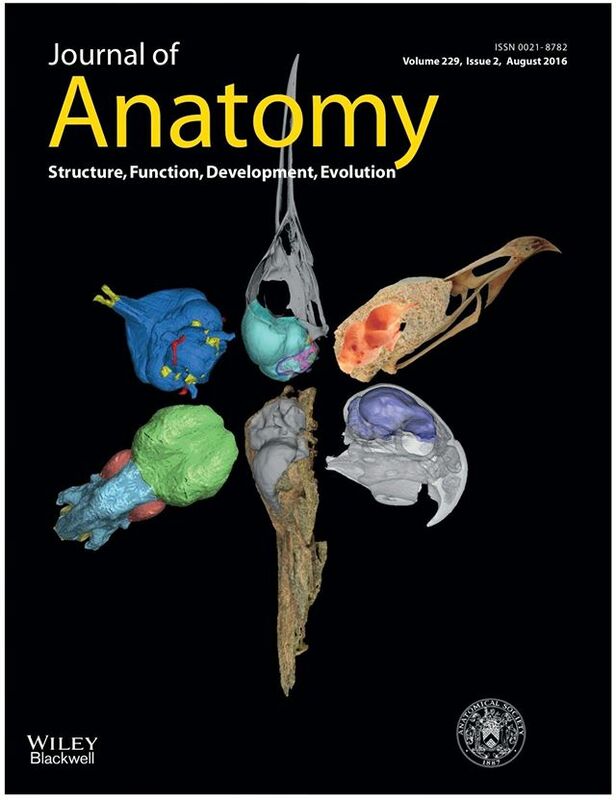 Symposium on ‘Evolving approaches for studying the anatomy of the avian brain’: Introduction Journal of Anatomy 229: 171-172. 3. Polly, P.D., D.T. Ksepka and J.F. Parham. 2015. Announcing the Fossil Calibration Series and Database. Palaeontologia Electronica 18: 1-5. 1. Ksepka, D.T. and T. Ando. 2011. Penguins past, present and future: trends in the evolution of the Sphenisciformes. In G. Dyke and G. Kaiser (eds), Living Dinosaurs: The Evolutionary History of Modern Birds: 155-186. John Wiley and Sons: Chichester.